إن فندق ترايولوجي سيرفرز بارادايس بموقعه الممتاز في هذه المنطقة السياحية هو نقطة انطلاق جيدة لنزهاتك في هذه المدينة المذهلة. يجذب هذا الفندق ذو 4 نجوم، والذي يبعد 0.8 Km فقط عن وسط المدينة و 22 Km عن المطار، الكثير من الزوار سنوياً. إن سهولة الوصول من الفندق إلى المعالم السياحية الشهيرة الكثيرة في المدينة هو استثنائي بحد ذاته. إن ترايولوجي سيرفرز بارادايس حريص على توفير الراحة للنزلاء، فلا يوفر الموظفون جهداً في تقديم أفضل الخدمات وضمان حسن الاستقبال. لضمان راحة ضيوفه، يقدم الفندق الخدمات التالية: واي فاي مجاني في جميع الغرف, أمن على مدار 24 ساعة, توصيل للبقالة, خدمة حجز التذاكر, مطبخ . استمتع بوسائل الراحة الراقية في الغرف أثناء إقامتك هنا. بعض الغرف تتضمن خزانة, غرفة ملابس, مناشف, سجاد, رف للملابس لمساعدتك على استعادة طاقتك بعد يوم طويل. يقدم الفندق خدمات رائعة كمثل جاكوزي, مركز للياقة البدنية, ساونا, مسار جولف - ضمن 3 كم, مسبح خارجي لمساعدتك على الاسترخاء بعد نهار طويل من النشاط والتجوال في المدينة. إن ترايولوجي سيرفرز بارادايس هو خيارك لخدمة الفنادق الراقية في المدينة. I love everything about Trilogy! Our apartment was clean and fully equipped with everything we needed for our stay. The jacuzzi was lovely! It's conveniently located near public transportation, restaurants, and a supermarket. You may also buy your Go Explore card at the reception which allows you to have unlimited rides on the tram and buses for 10 AUD a day. The lady at the reception was incredibly helpful in suggesting places and routes to take around the Gold Coast. We can't wait to come back! I was so happy that there were changes to our flight itinerary that forced me to cancel my initial booking with a different hotel and we ended up with Trilogy! Had the best time here. The apartment was huge, clean and well maintained. Facilities provided were sufficient. Located near to everything. Restaurants, cafes and supermarkets were all within walking distance. The surfer's paradise beach was also within reach with 5 mins walk. There was a lot of buildings no work going on around the location and it is situated next to a run down block. Facilities were tired but had what we needed. Shame there are so many run down units and housing around as once in the resort the gardens and pool are lovely. Very recommended, we have great stay here. 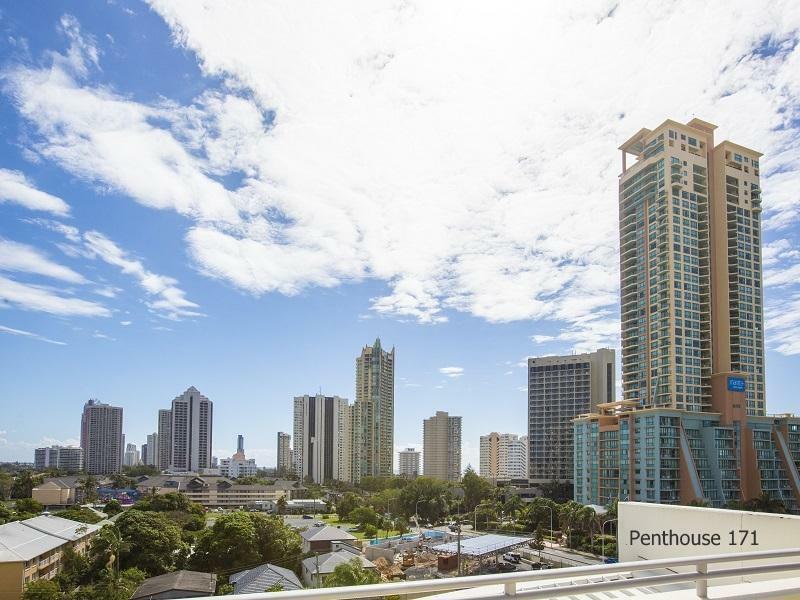 close to surfers paradise, nice view and complete facilities. Only downside was the traffic noise on our side of the building (ok on the side my other family members we staying on). And the fact you have to swipe with the correct key to go up or down at all in the lift made it hard to go to our family members who were on level 12 when we were on 10. More keys for each of us would have helped with this. Being on the same level would have been great but at time of enquiry we were told there was no guarantee of that. Otherwise great location and facilities. We enjoyed our stay. This was our second time staying here this year. Definitely close to main city centre. Not a huge sky rise like the others so we had the pool to ourselves at stages. Room needed to be dusted, but otherwise it was ok. Ventilation in the bathrooms wasn't working. Still would stay again. Staff is very polite and friendly, when we told the receptionist that the water tap in our kitchen was loosen, she sent someone to fix it right away. The apartment is spacious with handy kitchen ware. We were very happy with it in general. Prior to arrival no notice had been given that a $300 'bond' was going to be placed on our credit card for each apartment. This was after we had prepaid in full. The bond would be held for 7 to 8 days and then released.. We are still waiting 10 days later. the location was great. walking distance to the beach, shops, restaurants & cafés. the apartment was very clean and spacious. staff was very friendly and helpful. we had a great stay! if we return to GC again definitely will stay at Trilogy! 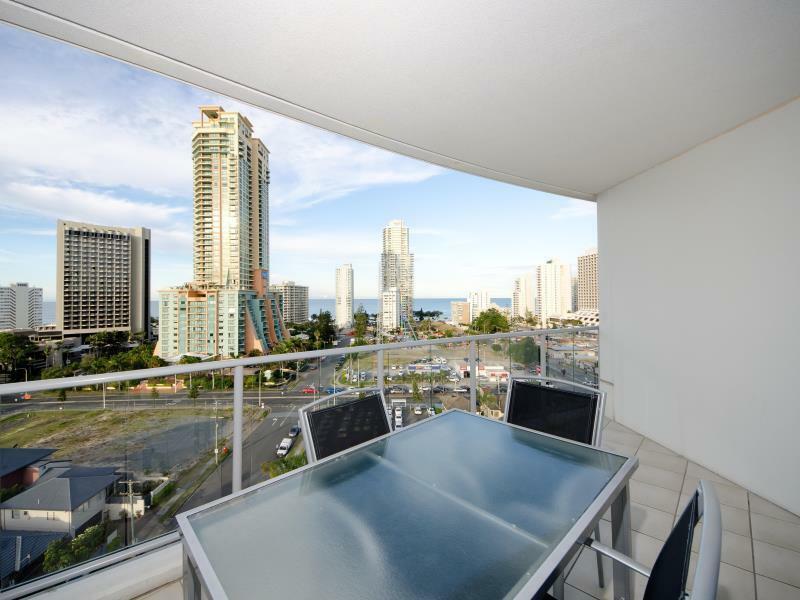 Awesome views, very clean, spacious and central to all that's Gold Coast with great customer service. Looked after an issue we raised to ensure our stay was wonderful. Didn't want to leave, however we'll be back. Good apartment, very self contained may be better suited to longer stays. 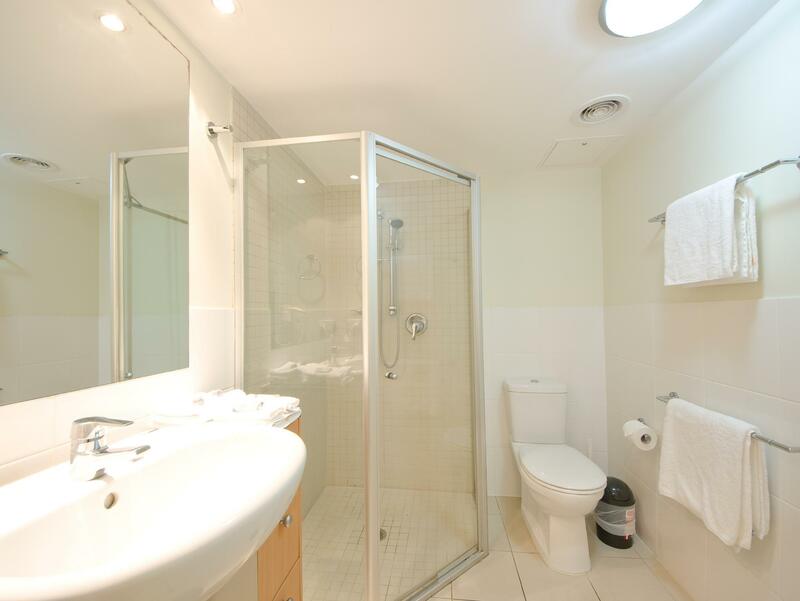 Rooms don't get serviced, and there are a few extra costs when you finish toilet paper etc. but you can always purchase from nearby supermarket. 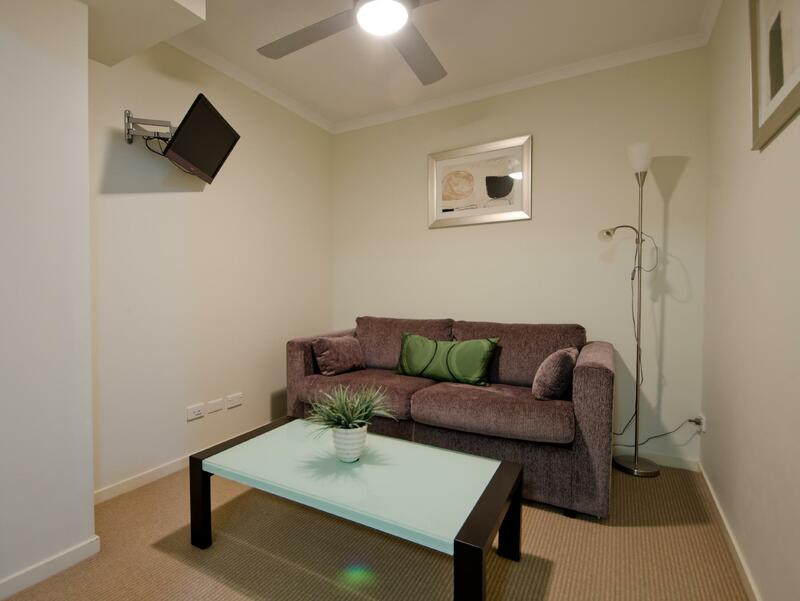 On a plus this booking included a car park unlike most of the hotels/apartments in surfers paradise. 1. Location 2. Quiet location not near night clubs or noisy restaurants. 3. Close enough to Surfers to walk and swim. Couple were from Japan and initially wanted to stay at the Hilton just because they did not know of other options. 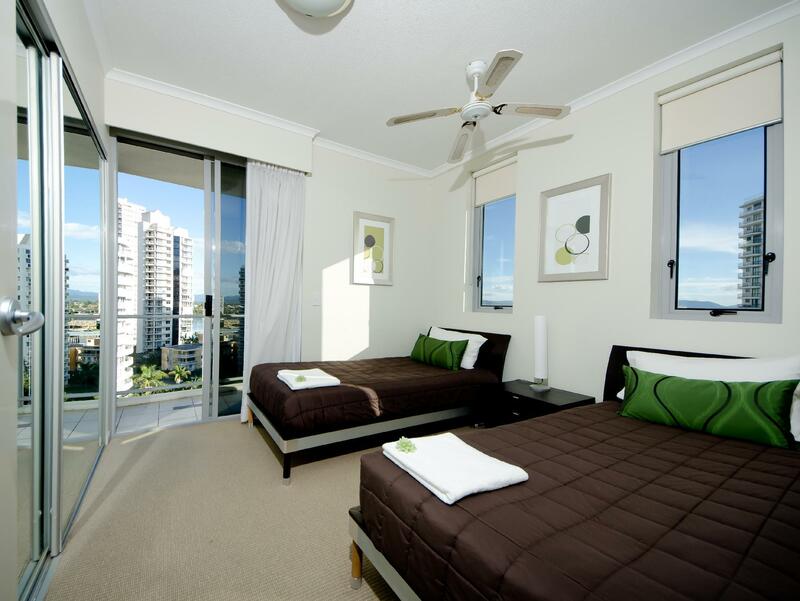 They really enjoyed their stay at Trilogy, rooms were bigger, quieter, and well located to Surfers Paradise. Between the river at Budds Beach and two block from the surf beach. They were very happy with the price as well. Very reasonable for such a lovely well looked after establishment. We stayed in a 3 bedroom apartment in the North Tower. We enjoyed our stay very much and would definitely stay here again. The staff at the reception desk were very friendly, the location was walking distance to the beach, shops and river, and we were also allocated our own parking space at no extra cost. The apartment itself was excellent! 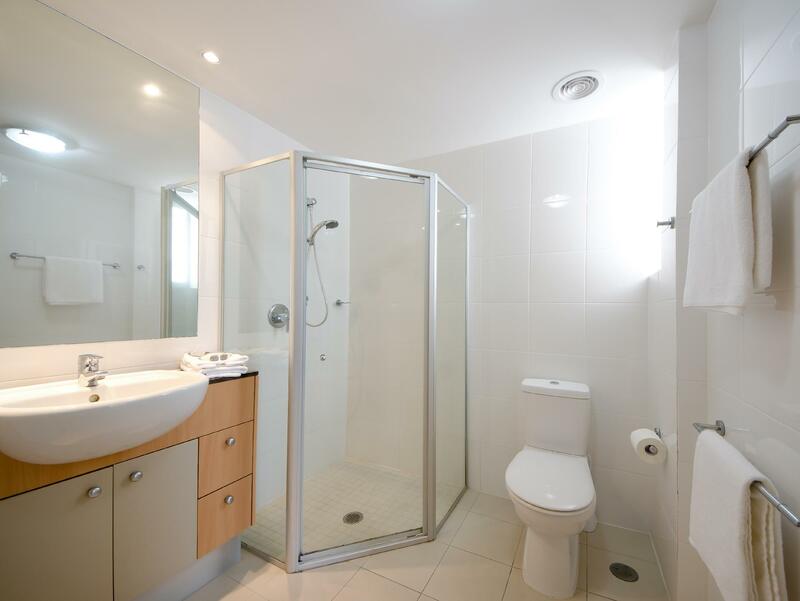 Very clean, heaps of room, a great view from the 11th floor. Extremely happy with our stay, although if there was one thing I would mention, it would be that our room wasn't cleaned while we were out the next day. Not sure if they were supposed to, but if not, it was fine as the apartment was still neat anyway. Thanks for the great accommodation! We had a great stay! Service was great. Location fantastic. Apartment was spotless and security is top notch. Amenities and grounds are impeccable. Really loved it. Great value for money. When and if we visit Surfers again, we will be staying here!